Zionism is a product of Jewish philosophy and is based on Jewish culture and thought, which has its roots in Judaism. The core purpose of Israel’s settler-colonial Zionist regime is to maintain itself as a Jewish State. Exaggerated or false claims of antisemitism aim to create a climate of fear in which Palestinian legitimate human rights campaigns are stifled. The Zionist mission of first violently claiming and then preserving Israel as a Jewish State for Jews worldwide in Palestine dictates that Israel can only exist as an apartheid state, one that can never, ever be truly democratic. The idea of Jewish nationalism (the in-gathering of all Jews worldwide into Palestine and renaming it “the Land of Israel”) is the direct cause of the ethnic cleansing of Palestinians and Israel’s perpetual war against our very existence as a people indigenous to Palestine (see Nur Masalha’s Palestine: A Four Thousand Year History). The fact that I felt it necessary to refer the reader to Masalha’s book is a measure of the degree to which Israel’s poisonous hasbara has been successful. Jewish nationalism manifests itself as settler-colonialism. One concept (settler colonialism, which is now pretty much accepted as a paradigm for understanding the Nakba – but only if it is understood as colonialism by white supremacists, not Jewish supremacists) does not exclude the other operative concept in Palestine, namely that Jewish Zionism = Jewish nationalism = Jewish supremacy = Apartheid. We can hardly say the word “Jew” or “Jewish” in connection with the Palestinian tragedy without being fiercely maligned or our ideas “contested”. The very language in support for the Boycott, Divestment and Sanctions (BDS) movement i.e., for Palestinian human rights, is taboo, incredibly, even for a civil rights institute! The statement of Birmingham’s Civil Rights Institute reinstating the award to Angela Davis was welcomed by many as a vindication of Angela Davis’s integrity as a human rights activist. In my eyes, though, it indicted the Institute even more, as the language of the statement implicitly subscribed to a Zionist lie — namely, that support for Palestine = support for violence (aka terrorism). The language completely erases the Palestinian struggle from the equation. Language having to do with supporting Palestinian human rights ought not to be controversial and avoided like the plague by Birmingham’s Civil Rights Institute! Many of us activists in the struggle for justice in Palestine are now proficient at criticizing Zionism as a settler-colonial movement, but many are not comfortable or proficient at untangling the basic relevant roots of Zionism that lie in Judaism. The disingenuous insistence one sometimes hears that the word “Jewish” in the excerpt above does not, in any way, refer to faith and that it only refers to the non-religious, assimilated, atheist, socialist Jews who founded the Zionist movement is a huge obstacle in the path of anyone interested in dismantling Israel as a Jewish state — i.e., in achieving a truly democratic and secular state in historic Palestine. Today all around the world, synagogues and rabbis are the ones indoctrinating their communities into worshiping Israel and a tribal, some would say Medieval, identity. At their head is Israel’s Chief Rabbi. Those that don’t are out of the mainstream. Is it anti-Christianity to go back to the Bible and interpret the verses that inspire Christian Evangelists to commit evil and cause untold suffering to the Palestinian people in the “Holy Land”? Is it anti-Judaism (I won’t say antisemitic because I am not sure I understand what that means anymore) to look into what in the Talmud might be inspiring Chief Rabbis of Israel in his racism and cruelty, in condoning ethnic cleansing and genocide? Nearly half of Israeli Jews believe in ethnic cleansing, a 2016 survey finds: Israeli President Reuven Rivlin called the findings a ‘wake-up call for Israeli society’ — meaning Jewish Israeli society. The world needs to recognize and deal with the fact that Palestinians are oppressed by oppressors who are Jewish and have colonized us as Jews. We need to challenge Jewish exceptionalism and Jewish privilege in the movement. Criticizing the Jewish state, a state based on a religio-racial epistemology, and calling for its demise as such is not tantamount to the destruction of Judaism; it is tantamount to the destruction of Apartheid and Jewish supremacy as it manifests itself in the Jewish state of Israel. 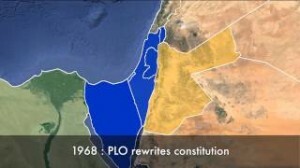 Since a “chosen people” ideology is firmly embedded in Jewish nationalist thought today, and since such indoctrination negatively impacts how Israel’s Jews and other Zionists look upon “others”, specifically Palestinians whom they believe took “their land” rather than the other way around, Israel needs more education campaigns similar to those performed by Zochrot / זוכרות / ذاكرات, and by De-Colonizer (research and art laboratory for a social change) to help in dismantling the toxic Jewish identity Zionism has spread far and wide and moving all of us toward one secular and democratic state in all of Palestine from the river to the sea. – Rima Najjar is a former professor (now retired) at Al-Quds University, Palestine. She comes from Lifta, Jerusalem and Ijzim, Haifa and currently lives in the United States. The post Anti-Zionism Means Anti-Jewish-Nationalism in Palestine appeared first on Palestine Chronicle.